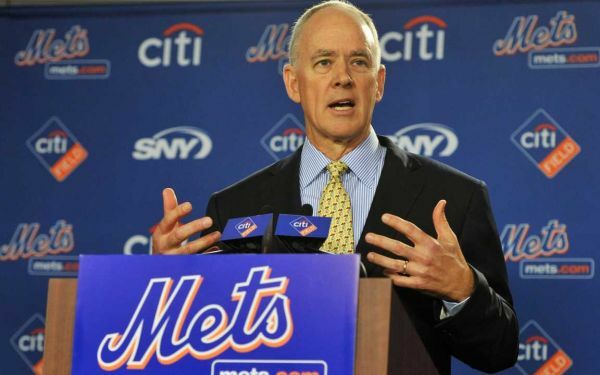 Since joining the New York Mets as their general manager, Sandy Alderson has done a pretty good job. Record-wise, he hasn’t improved the team much at all, in fact, if going based on this, he’s actually worsened the team. In his first season, they went 77-85, and in the two years since, they’ve went 74-88. However, the record doesn’t give Alderson the credit that he deserves. Let’s look at each and every significant transaction he’s made during his approximate 3 years with the Mets. Traded Colin McHugh for Eric Young Jr. Drafted: Brandon Nimmo, Jack Leathersich, Michael Fulmer, Cory Mazzoni, Gavin Cecchini, Kevin Plawecki, Dominic Smith, LJ Mazilli, etc. Judging by that, Alderson has done a fairly decent job in every area except for one: free agency. This offseason, the Mets claimed, would be their first big spending offseason since the days of Omar Minaya. Thus far, it’s not looking like that will be true. This trade would work very well for both teams. The Jays could move Edwin Encarnacion to DH, and dump Adam Lind’s bad contract off to another team, as they won’t need him anymore. They’ve inquired about Murph and Ike would be a perfect fit with them, knowing what I previously mentioned, as well as that they don’t have one 1B in their top 20 prospects. The Mets would reacquire Jose Reyes, who was a great player and fan favorite in NY. He would not only add to their team, but also help sell more tickets. The Mets don’t have to worry about losing Murphy, as they could now move Eric Young Jr. to his original position of 2B, thus clearing up an outfield spot to sign a big-name. They’d also dump Ike, who’s had a lot of trouble with the team in the past few seasons, and gain a top prospect, to continue to build for the future. Move Eric Young Jr. to Second Base. Look at the previous paragraph. Listen, I’m not big on the finances of the game, so I can’t give you the years/money of a contract, but he’d be a great fit with this team. He’d clearly be able to handle the NYC pressure, as he did it with the Yankees for several years. He’d add a lot of power to their lineup, and make their outfield one of the best units in the league. I’d personally rather see Shin-Soo Choo join the team, as he’s a great five-tool player, which is very rare to come upon, though I don’t see Sandy even entertaining that possibility. Johan’s huge contract may’ve been a waste, but in throwing his no-hitter, he did a lot for the organization, and the fans. If he doesn’t receive many offers, which is a high possibility, he’d take a minimal contract from the Mets, as he was supposedly very sad to leave not just the team, but the city. He’d give the Mets a lot of experience and one of the better 4-5 pitchers in the league. He’d also be a great mentor for the young arms of Zack Wheeler, Dillon Gee, Jon Niese, Matt Harvey, Noah Syndergaard, and Rafael Montero. This would also deepen their rotation a lot. He’s still a very serviceable pitcher in the MLB, and he’d be a very solid middle-of-the-line guy for the Mets. 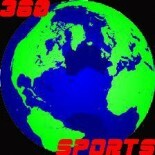 His presence would also be important for Johan Santana’s health (considering that they signed him). Once the big prospects of Syndergaard and Montero came up to the bigs, the Mets could move Santana to the bullpen, where he’d become a long reliever, preserving his health and stability. At that point, the Mets could even trade Bronson Arroyo, if he was playing well, for a couple of decent prospects. Or they could keep a 6-man rotation in order to preserve the young arms. While that team isn’t great, it’s sure better than it is now, and could possibly contend for a wild card spot. This entry was posted on December 4, 2013 by smarkowitz1 in Analysis, MLB and tagged Bronson Arroyo mets, Curtis Granderson Mets, Daniel Murphy, Eric Young Jr, Ike Davis, johan santana, jose reyes, Jose Reyes Mets, Mets, mets depth chart, mets lineup, mets offseason, mets pitching rotation, mets roster, MLB Prospects, new york mets, NY Mets, NY Mets offseason, Sandy Alderson.